Gives your company the ability to target individual accounts and contacts with personalized campaign content through Sigstr ABM. Provides insight into who is engaging with your email campaigns and how often. Offers alternative campaign options for employees looking for more control of the content they share. Install Sigstr's chrome extension here. 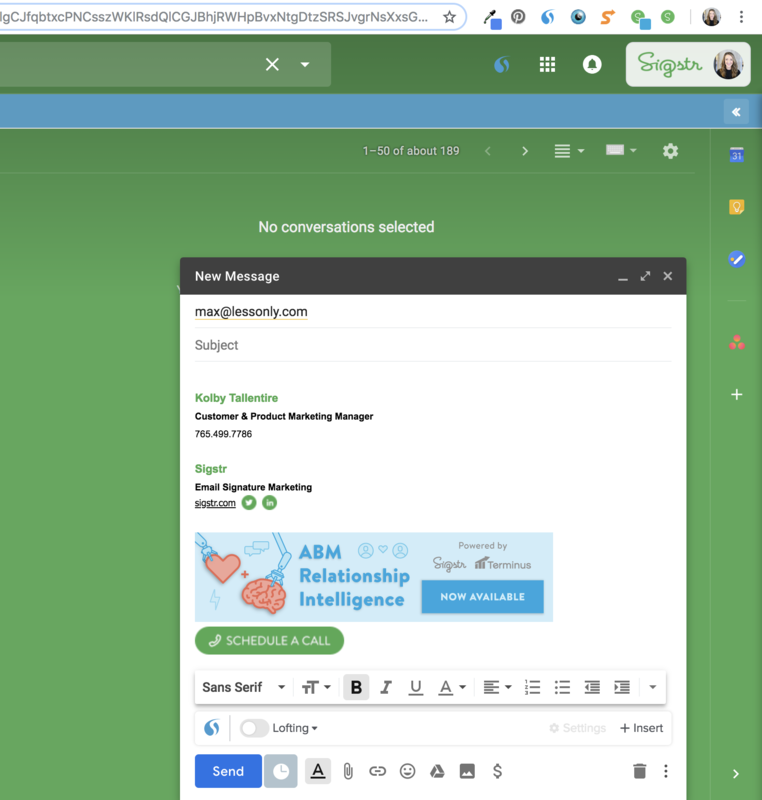 Please note that Sigstr offers another chrome extension called Sigstr Connect that includes Sigstr's Relationship functionality in addition to the Signatures functionality. 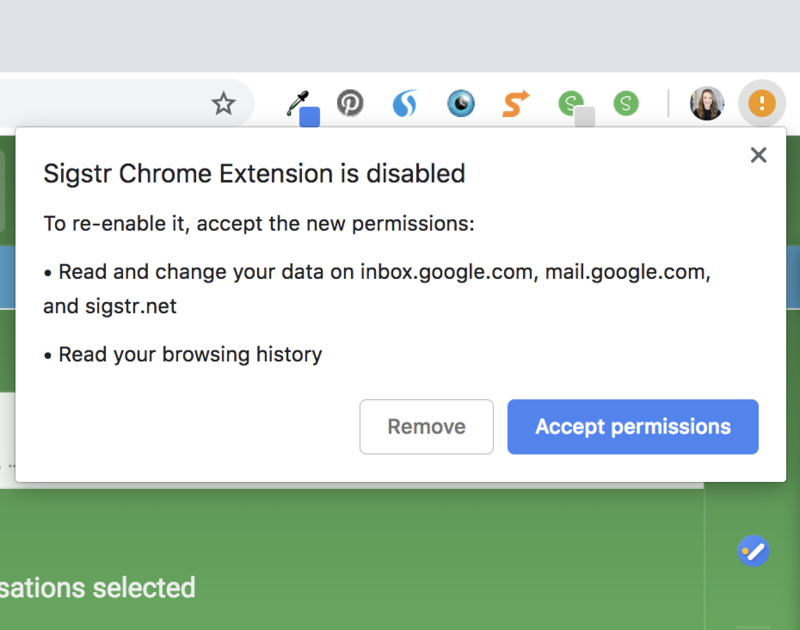 Certain users that installed an early version of Sigstr's Chrome Extension may be required to accept additional permissions. Users who are required to do so will be notified via a yellow extension notification (see image below). 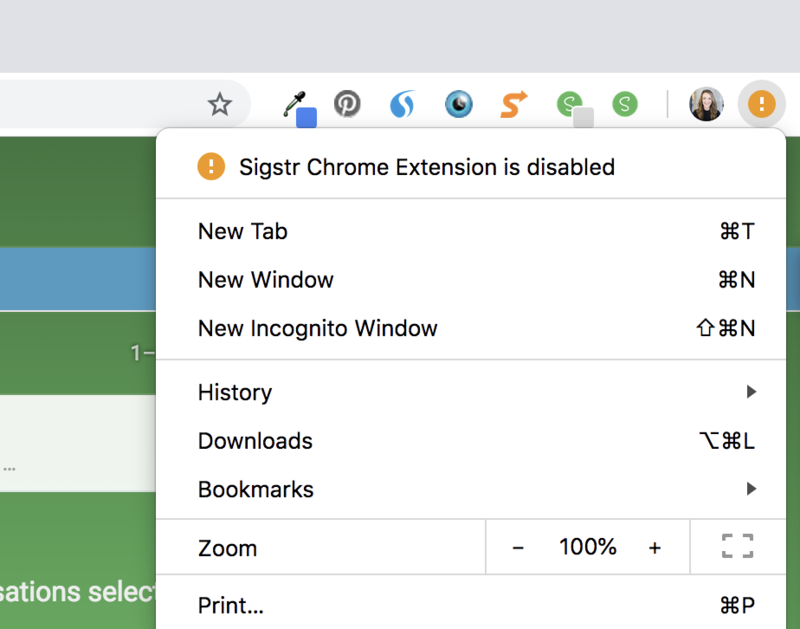 To continue using Sigstr's Chrome Extension functionality, please click to accept the additional permissions. 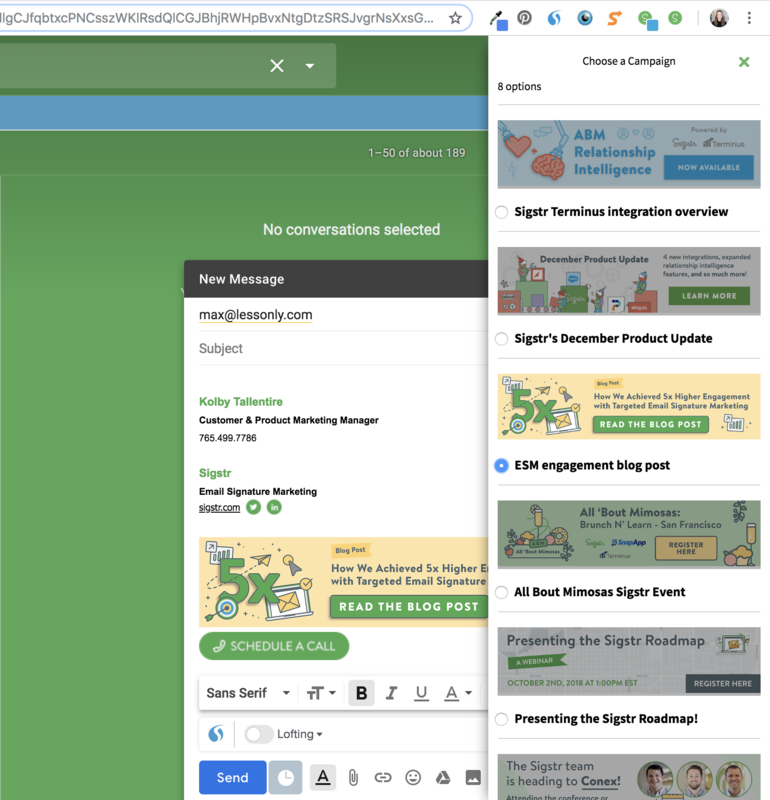 Sigstr Connect enables Sigstr's Account-Based Marketing functionality which gives customers the ability to target specific accounts or contacts with content tailored to each audience. Depending on who you're emailing, your email signature banner will update to ensure the best possibility of engagement. When crafting an email, enter in your recipient's email address to take advantage of Sigstr's real-time campaign updates. Once the email address has been noted, the campaign will update to display the campaign banner you will serve to that individual. By default, your marketing team does their best to ensure your email signature campaigns are relevant to each person you're communicating with. To further personalization, some companies provide multiple campaign options that their employees can choose from. To view your campaign options, follow the steps below. Open an email draft or start a reply to an email in your inbox. Click on the Chrome extension and select which campaign you'd like to include in your email. Be sure to type in the name of your email recipient before doing so. If your team is using ABM, you will have different campaign options. Please note that your Sigstr campaign will reset to the default after your email has been sent.